I feel like I should dub myself the recover queen because 1. I love to recover and 2. I love trying new products to help me do that. So let me preface this review by saying, I love how RAD this product makes me feel! 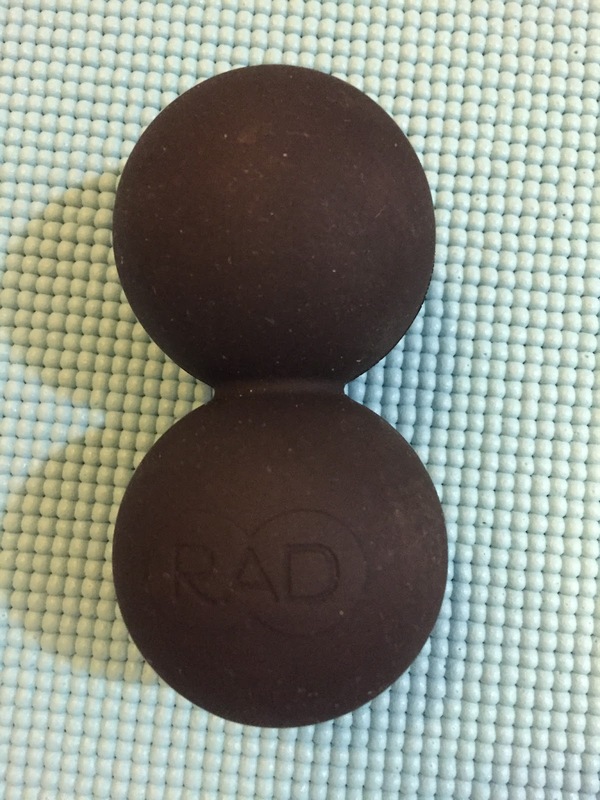 The RAD Roller is a set of two rolling balls attached to each other that were designed to roll up and down the back without putting pressure on the spine itself. The reason why is because all bodily movement begins at the spine. So even if your back doesn’t hurt, the pain you are experiencing most likely originated there. This product was designed to create a functional point release all along the spine. It was made to hit the muscles on both sides of it while also fitting very well in between the shoulder blades. As a result, it relieves the tension, helps you move more comfortably by working those muscles on the back, and can roll lengthwise along every muscle group. Plus it can be used to massage the calves, glutes, IT bands, really any part of the body. There are many other benefits that come with RAD products including flushing out toxins, benefitting blood flow, promoting relaxation (which it does) and creating a healing response for those muscles that were worked incredibly hard. My favorite thing to do with the RAD Roller is to just lay on it with the roller in between my neck and upper back. It’s like a massage and trigger point session all in one. I overworked my neck muscles recently and the first thing I did in the morning was lay on the RAD roller right at the upper back, lower neck and it helped it feel so much better! It was refreshing and relaxing to say the least! 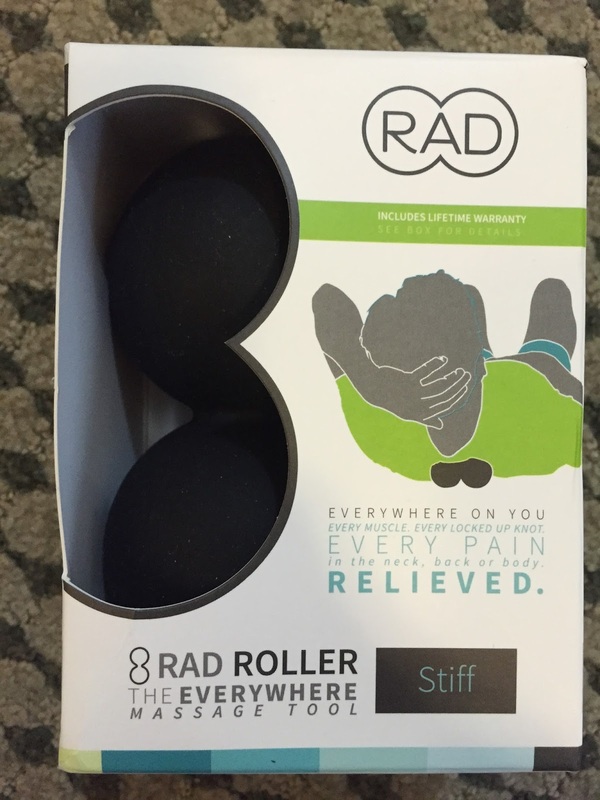 The RAD Roller is perfect for traveling and easy to store anywhere in the house. It comes in three different firmness levels of soft, original and stiff based on your preference. I got to test out the stiff option because I like that level of pain (as most intense athletes do) and it really helps get the kinks out. The RAD Roller retails for $24.99 and you can purchase it at RADRoller.com. And while you are there, check out their full line of gear to help you recover! They are amazing and I highly recommend them!